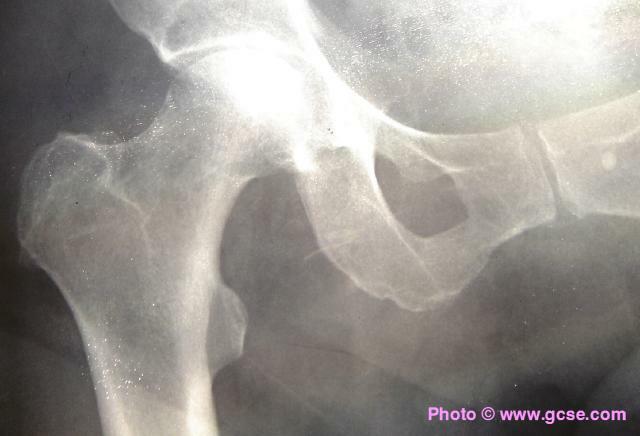 Many of us have been to hospital to have an X-ray photograph taken of a broken bone. At the dentist, we may have seen wisdom teeth growing beneath our gums. X-rays are even more dangerous than UV, but are amazingly useful. How else would you see what was going on inside you easily? Having a few X-rays taken every year is not harmful to your health, and physicists have developed more sensitive detectors recently so that weaker X-rays can be used. X-rays are absorbed by bone, but pass almost perfectly through flesh. 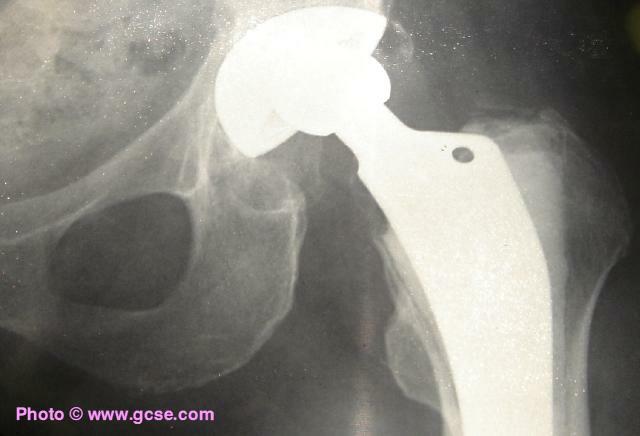 In the image above, the replacement hip joint is made of metal so blocks the passage of X-rays.